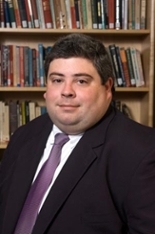 Dr. Matthew Zierler, an associate professor in James Madison College, has served as an Honors College faculty fellow with the National/International Fellowships & Scholarships (NIFS) Office since August 2013. Prior to that appointment, Zierler served for 10 years as a member of the MSU selection committees for the James C. Gaither Jr. Fellows Program (formerly Carnegie Junior Fellows Program), Marshall Scholarship, Mitchell Scholarship, Rhodes Scholarship and Truman Scholarship. As an Honors College faculty fellow, Zierler has been integral in recruiting and mentoring high-achieving students applying for major awards, and reaching out to other MSU faculty and advisers during the competitive application process. He has also supervised eight honors theses in James Madison College and provided honors options for students in nearly every course he’s taught. Zierler has been on the faculty of James Madison College since August 2003. His appointment is split 50-50 between the Honors College and James Madison College. Zierler earned his bachelor’s degree in international affairs from The George Washington University and his master’s degree and doctorate degree in political science from the University of Wisconsin-Madison. His research and teaching interests are in foreign policy, international security, international relations theory, international law, and international cooperation. Zierler has also led a study abroad program to Brussels, Belgium on six occasions, and has served as a visiting faculty member at ADA University in Baku, Azerbaijan.